Another powerful post by Clive Best on how earth’s surface temperatures change by means of changing meridional heat transfers. Meridional Warming. The key point for me was seeing how the best geological knowledge proves beyond the shadow of a doubt how the earth’s climate profile shifts over time, as presented in the diagram above. It comes from esteemed paleoclimatologist Christopher Scotese. 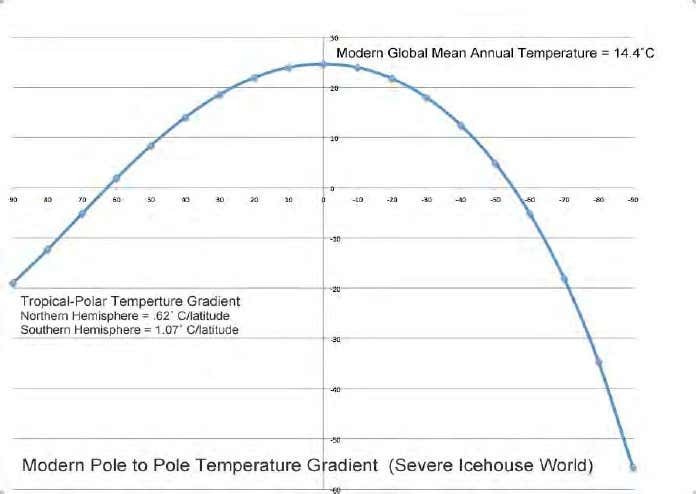 His compete evidence and analysis can be reviewed in his article Some thoughts on Global Climate Change: The Transition from Icehouse to Hothouse (here). In that essay Scotese shows where we are presently in this cycle between icehouse and hothouse. As of 2015 earth is showing a GMT of 14.4C, compared to pre-industrial GMT of 13.8C. According to the best geological evidence from millions of years of earth’s history, that puts us in the category “Severe Icehouse.” So, thankfully we are warming up, albeit very slowly. Moreover, and this is Clive Best’s point, progress toward a warming world means flattening the profile at the higher latitudes, especially the Arctic. Equatorial locations remain at 23C throughout the millennia, while the gradient decreases in a warmer world. 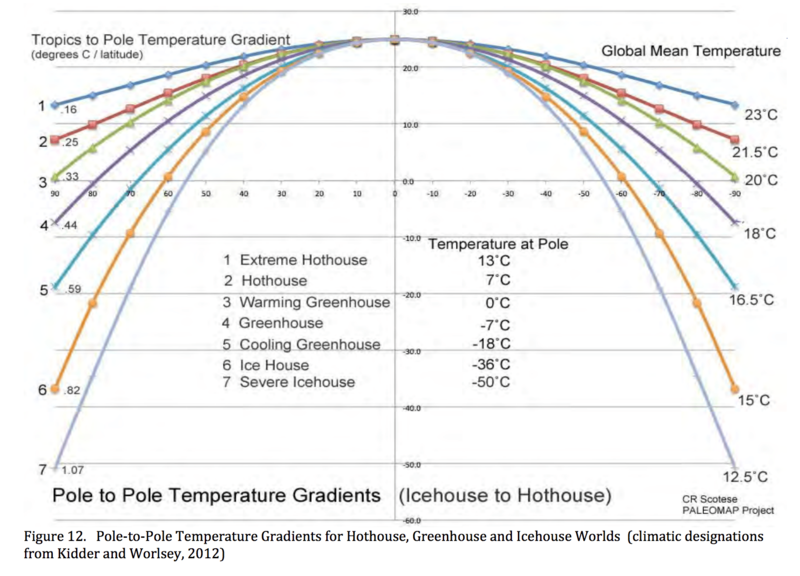 We have many, many centuries to go before the earth can warm up to the “Greenhouse” profile, let alone get to “Hothouse.” Regional and local climates at higher latitudes will see slightly warming temperatures and smaller differences from equatorial climates. These are facts based on solid geological evidence, not opinions or estimates from computer models. It is still a very cold world, but we are moving in the right direction. Stay the course. Meanwhile, keep firing away Clive. 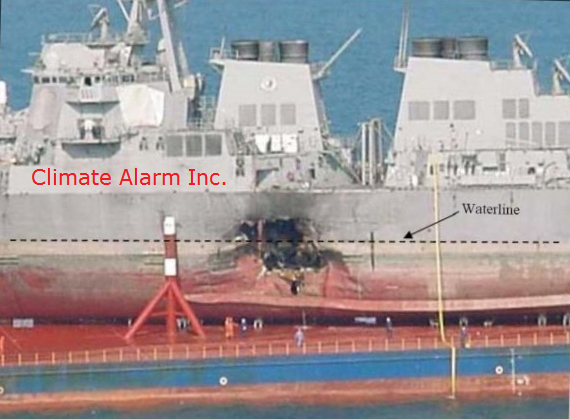 I am a bit sensitive to the use of the USS Cole image, though. You’re welcome to delete this comment.